BACK to where I started The Inn at Christmas Place will have visions of sugar plums dancing in your head. 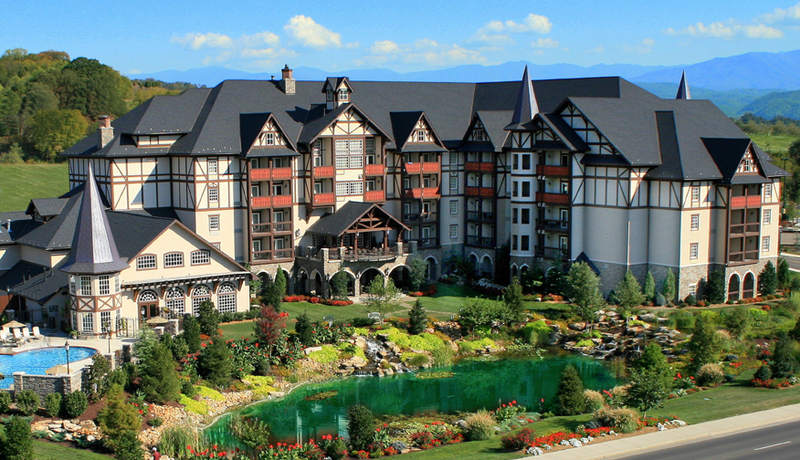 Located in the foothills of the Smoky Mountains this four-star hotel really brings the season alive no matter what the season. 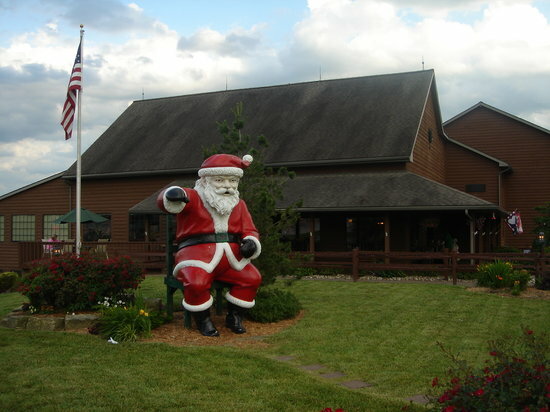 Whether it's Singing with Santa during milk and cookie time in the evenings, free sno-cones at the pool or Christmas decorating class you are sure to be happy you decked the halls of The Inn at Christmas Place. In addition to all that fun, family friendly Christmas movies are available for check out at the front desk (I bet these vary tremendously from the movies shown at the Christmas hotel in Japan). Santa is around to welcome you in the mornings most of the year to a BIG hearty breakfast buffet that is sure to make your belly as full as a bowl full of jelly! (Did I mention this fabulous not a stale danish in sight buffet is INCLUDED in your nightly rate?) There are 2 pools ~ one indoor that is open 24hrs a day and one large outdoor pool complete with a 95ft figure eight water slide! 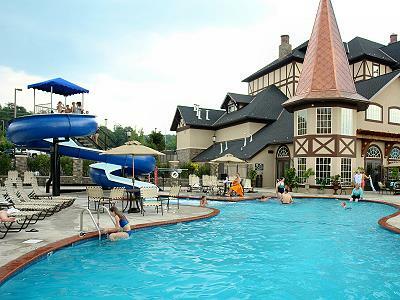 (outdoor pool is open May - September) Be sure to visit the Elves' Retreat Game Room and the Holly Fitness Center ~ the perfect place to work off those extra "holiday pounds". Christmas themed rooms are available but all rooms look well appointed and holiday homey! They all have the comforts of home including refrigerators, microwaves, coffee makers, flat screen TVs & DVD players and pillow top mattresses to help you settle in for a long winter's nap. A few of the suites even have decorated fireplace mantels and Christmas trees! To make a reservation you call 1-888-HOLY-NIGHT I wonder if you hear Christmas carols while on hold?